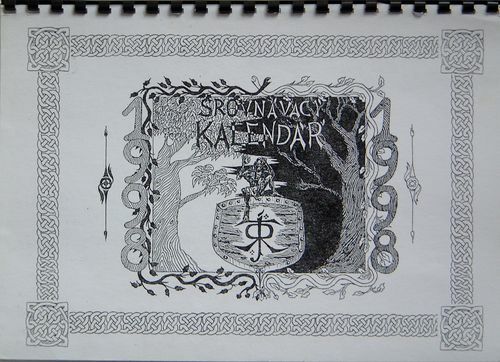 The issues of the Czech Tolkien Society and two recent commercial issues. The Czech TS issues were only discovered through the efforts of Vaclav Šatava. 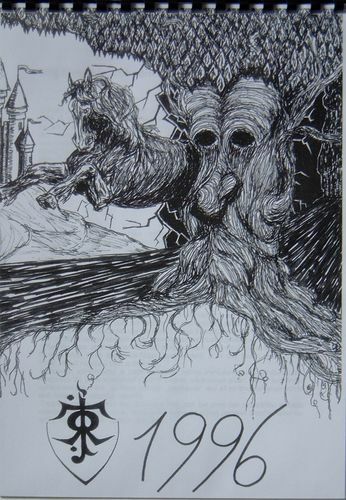 “1996" Black and white illustrations by Jakub Koci, Vladimir Wagner, Katerina Garcia. Comparison of various calendar reckonings. Dimensions: 11 3/4 x 8 1/4 inches (w x h); black comb bound. 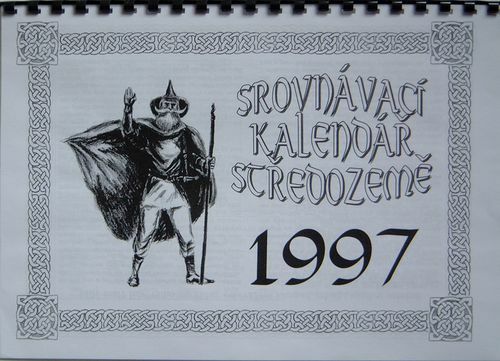 “Srovnavaci Kalendar Stredozeme 1997" Comparison of various calendar reckonings. Dimensions: 11 3/4 x 8 1/4 inches (w x h); black comb bound. 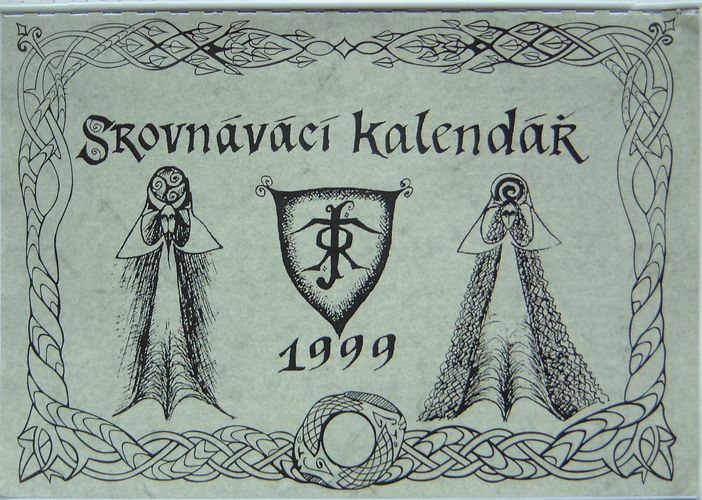 “Srovnavaci Kalendar 1998" Comparison of various calendar reckonings. Dimensions: 11 3/4 x 8 1/4 inches (w x h); black comb bound. 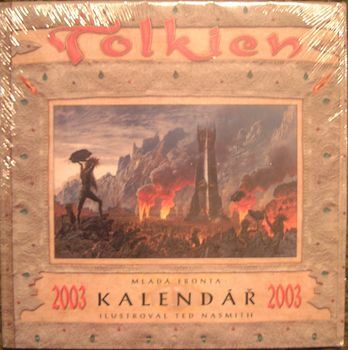 VARIANT: “mlada fronta Tolkien Kalendár 2003 illustroval Ted Nasmith” Mlada fronta, Czech Republic. Dimensions: 12 x 12 inches (w x h); stapled; punched hanging hole; shrinkwrapped. 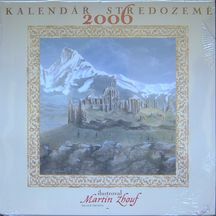 “KALENDAR STREDOZEME 2006 Illustroval Martin Zhouf” Watercolor or gouache illustrations by Martin Zhouf. Published by Mlada Fronta, Praha, Czech Republic. Dimensions: 11 3/8 x 11 3/8 inches (w x h); punched hanging hole; shrinkwrapped.